Whether you are a new chicken hobbyist or a long-term poultry farmer you want your chickens to produce good quality eggs all year around. To achieve this it is vital that you take good care of them. 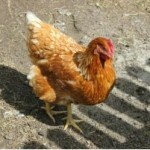 Like humans, chickens don’t want to be exposed to harsh elements. A good chicken coop will offer shelter for the chickens, ensuring they produce quality eggs, and it will also ensure predators such as raccoons, foxes, and weasels won’t be able to gain access to the run and harm your birds. If you are looking for a readymade chicken coop, there are a number of things that you should look for so that you can make the right decision. For most people this is often a tedious task since they have no idea how to choose the right coop. However, the healthier and happier your chickens are the more likely they will lay quality eggs for you. We’ve added some pointers to help you choose the right chicken coop. This depends on the number of chickens you want to raise as well as your budget. It is strongly recommended that you offer at least four square feet of space for every chicken so that your chickens can live comfortably. Hence, if you have five chickens, then you need to purchase a chicken coop of twenty square feet. Also, if you have about fifteen chickens, then you will require a coop of sixty square feet. If you value your chickens, then you have to protect them from the elements. 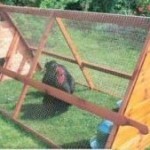 Look at the type of protection the coop will provide to your birds when they take up residence in it. Choose a coop that doesn’t just protect the birds from the elements but from predators as well. You should look for a coop that allows an abundance of fresh air to circulate inside. Ensure therefore that all the air vents and windows on the coop come with a protective wire mesh covering. Having plenty of fresh air circulating through the hen house will prevent moisture and ammonia building up. Both moisture and ammonia can affect the health of the chickens. Also, without adequate fresh air, the quality and quantity of eggs they produce will be significantly reduced. Ensure that your birds get enough light. Chickens require around 14 hours of light in order to be good layers. It can be either electric lighting or natural light in the coop. Doors and windows will allow natural light to pour in and a simple light bulb can also provide warmth during cold months. A fluorescent bulb will be good for dark days of winter. Using energy-saving bulbs will save you money and will last longer. 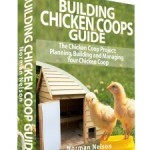 These pointers will prove useful when you begin to look at the many ads you see for chicken coops for sale. Keep all these things in mind and you’re sure to find a coop that meets your needs. 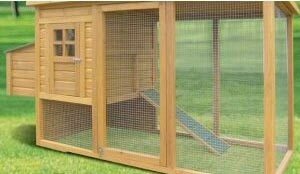 If you can’t find a suitable chicken coop for sale then we recommend the following chicken coop plans. You can either build the coop yourself or arrange for someone to build it for you.